Snowdrops were Diddley’s favourite flowers. She longed for spring to overtake the gloom of winter, seeing them as her salvation. Growing up in a part of Gloucestershire famous for these beautiful flowers. Seen wild en masse, or cultivars in famous gardens. Each year she and Bobby would come back to the Cotswolds to see them, or venture to nearer snowdrop gardens in the southeast. In all those places there is nothing to rival Cherington Lake. Not far from Stroud. Where you heard of her drinking Glenffiddich with an ageing poet in past blogs. Together with the nearby graveyard of St Andrew Miserden where Frank is buried in a churchyard of snowdrops in the most beautiful setting imaginable. Once again this is not sad, but a glorious celebration of the inevitability of spring. Lighting a Candle for Diddley and Frank … St Andrews Miserden. The last time we saw Frank”s grave was the 20th February 2009. I had no idea she had written in the visitor’s book. And her pen seems to have run out in the middle! 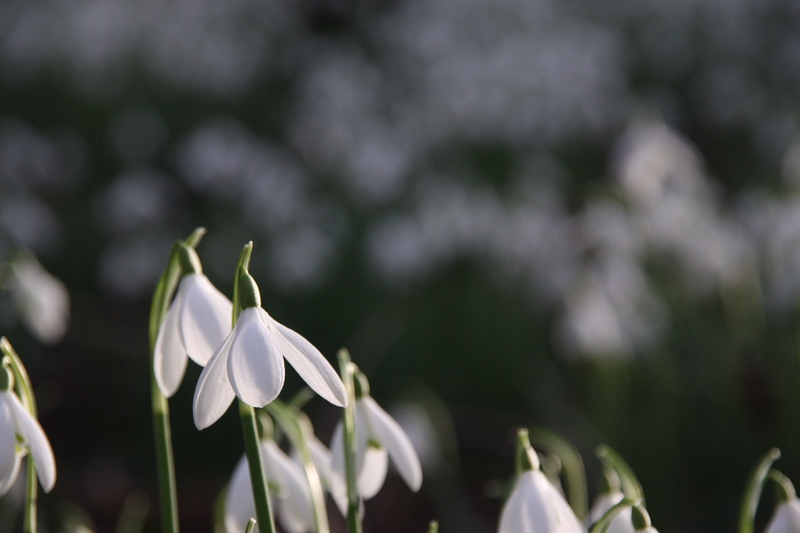 I love snowdrops too… I saw my first ones in Nunhead Cemetery last weekend. Thanks for a beautiful post.